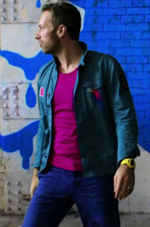 Coldplay…. Hearing Don’t panic or Shiver of their ‘Parachutes’ album always brings me back to that sunny summer of 2001. Spending about three weeks at Crete in the Mediterranean Sea. Sunny days and happy nights staying at one of the most beautiful spots at the island! High up on the mountain there were three houses placed at the edge of a view over Heraklion. A pool with a infinity edge made the luxury complete. Parachutes of Coldplay was firmly fixed in our rental car’s radio… So that got pretty stuck in our minds. 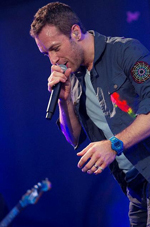 Over to Coldplay just released their latest album ‘Ghost Stories‘ at May the 19th. 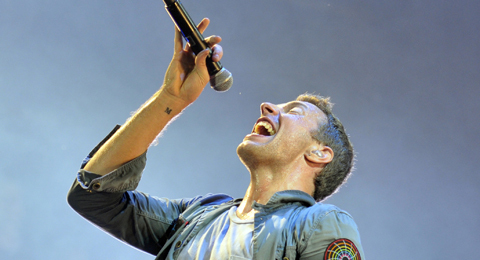 Ghost Stories is Coldplay’s sixth album and features the singles ‘Magic’ and ‘a Sky full of stars’. 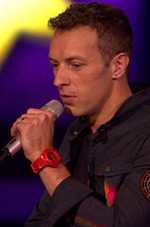 Chris Martin is seen wearing Casio’s G-Shock watches a lot. Usually in one of those bright colors. Below a some pictures of him wearing them. Personally I’m more for the basic colors like the black or white version. « What watch does Cristiano Ronaldo wear?